The delivery charges apply per address. They depend on the weight and destination of the order (excluding current promotional offers). Founded in 1977 by Robert Linxe, one of the top French artisan chocolatiers, La Maison du Chocolat today has boutiques in various cities including Tokyo, New York, London and Paris. 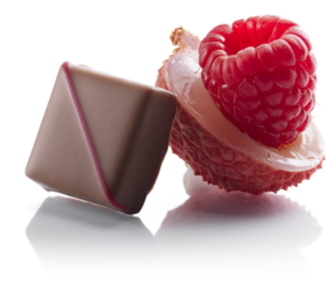 Explore the delicious world of handmade artisan chocolate ! A team of master chocolate makers, led by the Creative Director Gilles Marchal since 2007, continues the tradition of making chocolates by hand. Come and see for yourself ! The chocolate brand La Maison du chocolat is especially renowned for its dark chocolate selections. Dark chocolate ganache, truffles, chocolate bars: the gourmet chocolatier creates unforgettable delights prepared in the French tradition of culinary excellence. In Robert Linxe's chocolate making book you can find out more about the art of making chocolate with cocoa powder. The master chocolatier shares his most delicious chocolate making recipes with you.